A California battle over swordfish - and gill nets - Capitol Weekly | Capitol Weekly | Capitol Weekly: The Newspaper of California State Government and Politics. Conservationists are pushing a $1 million effort this summer to change the way swordfish are caught off the California coast by phasing out the use of drift gillnets. 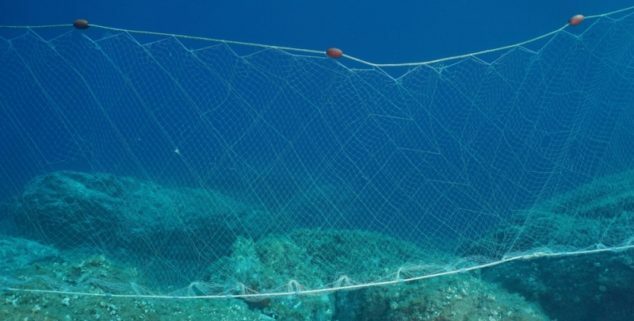 They are the mile-long nylon nets used to catch swordfish but that also ensnare other species, causing conservation organizations to seek an end to their use. Commercial fishermen can operate now with a drift gillnet shark and swordfish permit from the Department of Fish and Wildlife. But a new California law will officially ban drift gillnets as of January 2023. The law requires the department to establish a voluntary “permit transition program” that will reimburse fishermen for giving up the use of drift gillnets. The state has set aside $1 million in public money for the program and an additional $1 million will be sought in private donations. The program, scheduled to be in place by March 31, 2020, will serve as the mechanism for the reimbursements. Blacow-Draeger told Capitol Weekly that Oceana is pushing to have the matching private funds in hand by the end of the year. Organizations representing commercial fishermen opposed SB 1017 by state Sen. Ben Allen (D-Santa Monica), the bill that became the new law phasing out the use of drift gillnets. They say gill net users take a variety of precautions, such as acoustic “pingers” to ward off unwanted sea life and thereby lower the amount of “bycatch.” They also argue that federal law preempts the new state law anyway. In unsuccessfully urging then-Gov. Jerry Brown to veto SB 1017, the organizations also argued that restricting gill nets would simply open the door to increased imports of less-restricted, foreign-sourced swordfish to the detriment of the U. S. industry. The Trump administration sought to withdraw a plan to limit the number of whales, turtles and other marine creatures permitted to be inadvertently killed or harmed by drift gillnets used to catch swordfish off California, but a federal judge ruled against the withdrawal in October. The Commerce Department had argued that the cost to the commercial fishing industry outweighed conservation benefits. Oceana touts deep-set buoy gear, which it call “a clean and sustainable alternative” to drift gillnets. Deep-set buoy gear has not been legalized off the California coast, but is being used experimentally. A 2016 poll by The Pew Charitable Trusts reported 87 percent of those polled agreed that fishermen should use less harmful gear, with 37 percent of respondents saying they would be willing to allow continued use of gill nets with limits on the amount of non-targeted marine life captured. Seventy-eight percent wanted an outright ban. The 14-member Pacific Fishery Management Council is scheduled to make its recommendation to the National Marine Fisheries Service on deep-set buoy gear at a June 18-25 meeting in San Diego. At the same time, the Council will consider Pelagic longlines, 90-mile fishing lines containing thousands of hooks. Editor’s Note: Corrects gill nets to “drift gillnets” throughout, fixes name of Pacific Fishery Management Council in penultimate graf and adds link to 2016 study, 13th graf.